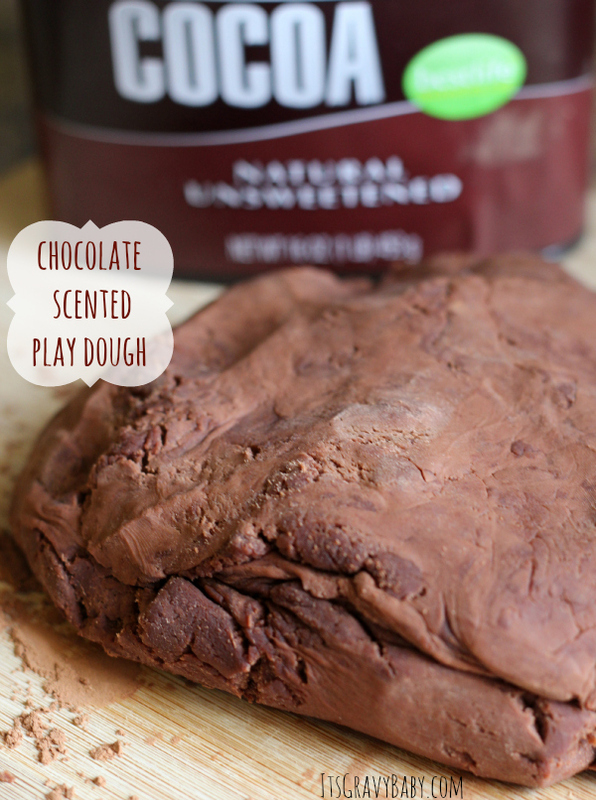 Play Dough How To: Chocolate Cookies & Mud - It's Gravy, Baby! We made a spring batch of our homemade play dough last week and Bryson specifically asked for some brown mud. The color didn’t come out exactly like I wanted, so we created some homemade chocolate cookie & mud play dough which turned out great. 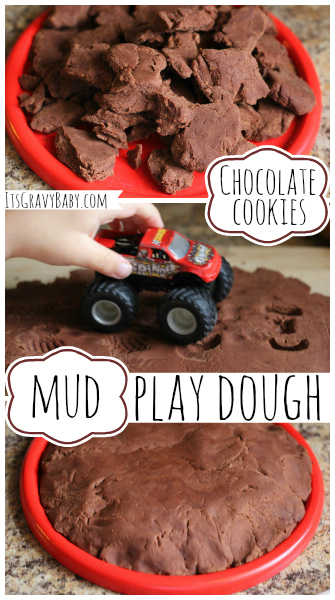 I started out with just mud play dough in mind and Bryson played with his monster trucks making tracks, crashing, etc. Before I knew it though, he was rolling out chocolate cookies, placing them on a baking sheet, and putting them in the oven. 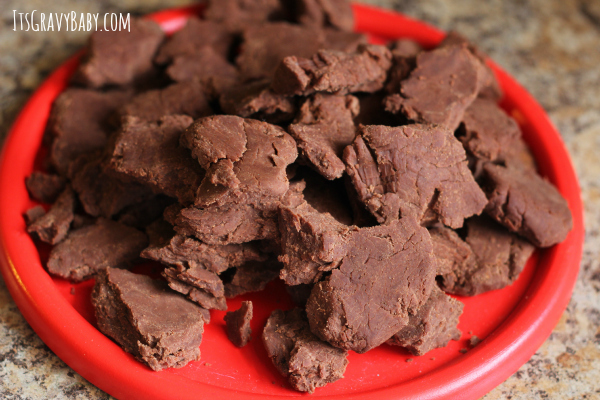 When the ding, ding, ding of the timer went off, we gathered around and enjoyed chocolate cookies made with this recipe. I love his imagination! Mix all ingredients in a large saucepan. Cook over medium-low heat until a soft dough forms and the play dough looks more dry than wet. Remove from heat, allow to cool for about 2 minutes, then knead. This recipe smells delicious enough to eat, but it won’t taste very good. 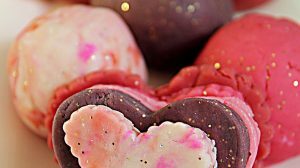 While all of the ingredients in it are edible and it is safe for little ones to taste, they’ll likely spit it right back out! My husband came home from work and saw our container of “chocolate cookies.” He asked “What is this?” but didn’t give me time to reply before taking a bite. That didn’t go over so well, haha. 😉 For mud play, add people, cars, and monster trucks. 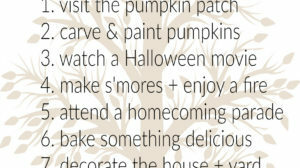 For food play, bring out the rolling pin, kitchen utensils, cookie cutters, sprinkles, etc. Sit back and let your child take over. Follow their lead! It is wonderful for imaginative play. Ohhh this looks good and fun! My boys loves cars so this is perfect. Such a FANTASTIC idea. I wanna play myself! Such a great idea! My kids love playing with little cars, so this would be great to make for them! Looks delicious!! Pity it doesn’t taste so great..! My son would love this.. I remember the fun I use to have playing with play dough myself as a kid. It’s great to relive that experience through your kids – this time around, the enjoyment you get is seeing them enjoying themselves (the way you use to!). 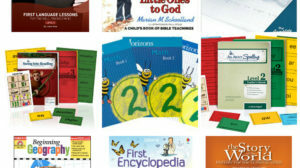 my kids would love this – awesome idea! My son will LOVE this. He will even enjoy helping me make it. Definitely pinning this one. Perfect for a rainy day, which we seem to have a lot of lately. This is perfect for my son! 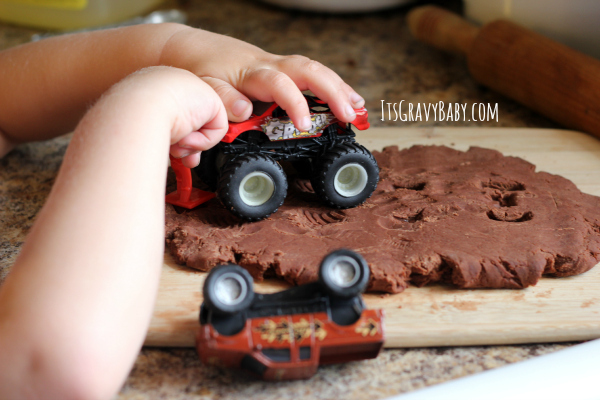 He loves playdough and driving his trucks through the homemade batch that we made a while ago…. even though it’s orange scented and sparkly! I love this idea! Plus I don’t keep Play Dough in the house because I hate the smell of it! Awesome! I love this. I’m going to bookmark this for summer! Oh now this looks like so much fun! Carter loves construction things..oh we would have so much fun playing with this dough! Neat! Thank you for this awesome post. I will be using it in my camping unit at school next week. We love things that are great sensory and hands on.